Seeds of orienteering in the Yukon were first sown in 1974 when three Yukoners participated in the historic National Orienteering Leadership Course in Guelph. In 1976, Bob Kaill and Lawrence Kristalovich produced a small black and white map of a portion of what is now our Mt. McIntyre Recreation Centre map, at the intersection of the Alaska Highway and Hamilton Boulevard. These seeds did not bear fruit, and the whereabouts of the first Yukon orienteers is not known (Bob Kaill, not a Yukoner, moved to Sweden where he is still active in orienteering). Orienteering really took off when a couple of orienteers from "outside" moved north in the mid-1980's - Suat Tuzlak from Alberta and Afan Jones from B.C. They were able to spark the interest of the locals and, with a colour map of the Mount McIntyre ski trails area, hosted the Association's first meet, a ski-O, on January 6, 1985. Eighteen people competed on either the 3.5 or the 7.5 km. course. Some of the early volunteers responsible for the strong foundation of the current association include Ella LeGresley, Helen Slama, Jean Carey and Beth Hawkings. In the late 1980's Juri Peepre and Ross Burnett moved north from B.C., adding further support. Growth since then has been fairly steady. We now proudly have more than 15 colour maps in Whitehorse itself, plus maps in Carcross, Mt. Lorne and Haines Junction. This selection of maps are regularly used at the series of Wednesday evening meets which regularly have 60 – 90 participants. In addition, annual territorial championships have been organized since 1989. The Yukon Orienteering Association has hosted the Western Canadian Orienteering Championships in 1994, 1998, 2002, 2006, 2011 and 2015. In 2004, the Yukon Orienteering Association organized the Canadian Orienteering Championships, marking the first time our national championships were held north of 60! In 2011, the association hosted both the Western Canadian Championships and the Canadian Championships. This 6-race series also included three World Ranking Events. In 2018, the association took on an even larger series of races, hosting the biennial North American Championships (an IOF Regional event) and the Canadian Championships. Ross Burnett, who was the driving force behind the growth over the years, was named to the Sport Yukon Hall of Fame in 2004. 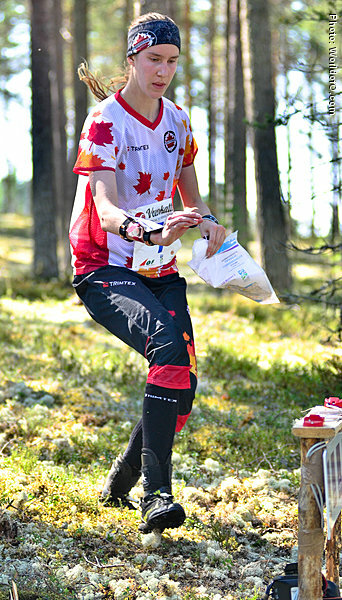 This foundation of maps and regular events in combination with coaching and Development Programs has meant that the Yukon Orienteering Association has produced a long list of top results, including at the Canadian Orienteering Championships and the North American Orienteering Championships. The club also boasts numerous past and present National Team Members.